Boy Meets World Season 2 Episode: 6 - Who's Afraid of Cory Wolf? 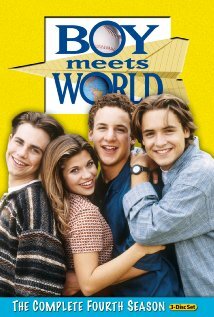 Boy Meets World Season 6 Episode: 3 - Ain't College Great? Boy Meets World Season 6 Episode: 18 - Can I Help to Cheer You? Boy Meets World Season 7 Episode: 11 - What a Drag!